Top-secret Top-water Fishing - when or when not to use? That is the question! For those of us down south, many of us have been fishing top-water lures for the past couple weeks. The weather has warmed up to where the air temperature is higher than the water temperature and the bugs have shown up in force. For those of you up north, you may still have a few weeks before the water and the air temp starts to warm up enough to really start using top-water lures. 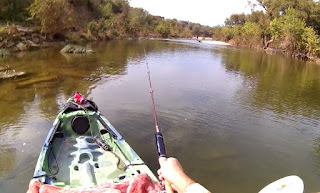 In this article, I'm going to explore some of the concepts of when to use top-water. I'm also going to discuss some of the myths around top-water and why so many fisherman miss out on some fantastic fishing. At over 5,000 words, this article is quite long, but if you want to explore the world of top-water, you need to read this technical explanation of the empirical evidence I've amassed over the past 4 years. 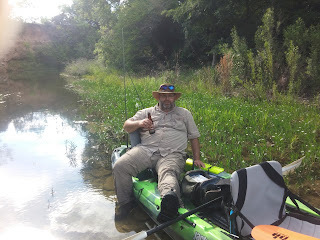 The Coleto Creek Reservoir kayak tournament went pretty well. It was one of the better tournaments I've had since starting KATS. Though I still didn't limit, I actually caught several fish.